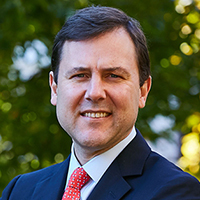 New Jersey Senate Republican plans to attract top innovators and spur the state’s burgeoning tech industries were put into action, as Senators Tom Kean and Jennifer Beck served as judges for the AT&T Civic App Challenge. The two-month virtual hackathon offered New Jersey’s coders, students, artists, thinkers, makers and entrepreneurs the chance to develop mobile applications that meet a community need. As part of this challenge, special consideration was given to apps that help military veterans and their families. Truly inspirational efforts on display at today's AT&T #NJAPPChallenge! Senator Jennifer Beck (R-Monmouth) also expressed her admiration for the talented finalists, noting that the nation’s up and coming innovators are right at home in New Jersey. To make the challenge New Jersey-centric, the challenge was open only to individuals who are residents of New Jersey and/or postsecondary students currently enrolled in a New Jersey college or university listed on the New Jersey Office of the Secretary of Higher Education website. For teams, at least 50 percent of the team members must be either current residents of New Jersey or attend one of the state’s colleges or universities. “We had great feedback from innovators and entrepreneurs from across New Jersey. 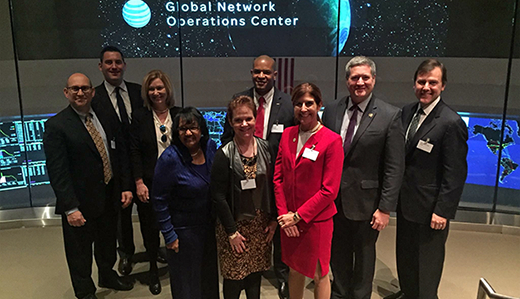 We’re grateful to the judges who carved out time from their busy schedules to review and score a great slate of entries,” said J. Michael Schweder, president, AT&T Mid Atlantic, who welcomed the judges to the briefing center on Nov. 20 at AT&T’s Global Network Operations Center (GNOC) in Bedminster. Submitted apps were judged on potential impact on New Jersey; execution; impact on military veterans and/or their families; and creativity/novelty. The challenge winner will have the chance to work with a regional incubator. The winners will be announced on Dec. 4 at Rowan University. Other judges included: Dr. Andrea Lobo, Rowan University; Wendy Lang, Thomas Edison State College; Judith Sheft, NJ Institute of Technology; Dr. Paul Rohmeyer, Stevens Institute; Lloyd Deans, Vets4Warriors/Rutgers; Leo Bussiere, AT&T; and MaryAlice Breuninger, Independent College Fund of New Jersey. To learn more, follow the challenge on Twitter at #NJAppChallenge or visit http://attnj.njcivicapp.com.